Are you ready for a more economical ride? If so come take a look at the new Toyota Yaris near Palm Desert, CA. This smart economy car has an affordable price and will save you money at the pump. We have plenty of new Toyota Yaris models in stock now. Beyond our inventory of new Toyota Yaris cars we also offer a great selection of used cars, often including pre-owned Toyota Yaris. Many of these are certified pre-owned models with low mileage and extended factory warranties. For anyone on a budget, buying a Certified Pre-Owned Toyota Yaris or other used Toyota car is a great way to get a quality vehicle at an amazing price. Convenient Toyota financing is available at our dealership. 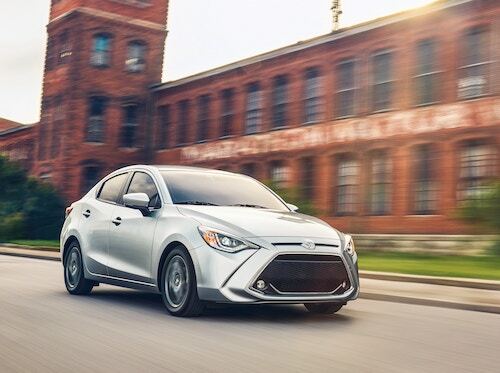 Our Toyota finance and leasing experts can help you find factory incentives and the best deals on new or used cars so you are sure to get the best price. We will explain your options for buying or leasing your next vehicle and can arrange affordable monthly car payments. We invite you to stop by our showroom and test drive a Toyota Yaris near Palm Desert, California. Our team is on standby to answer your questions and help you get behind the wheel of your next vehicle.